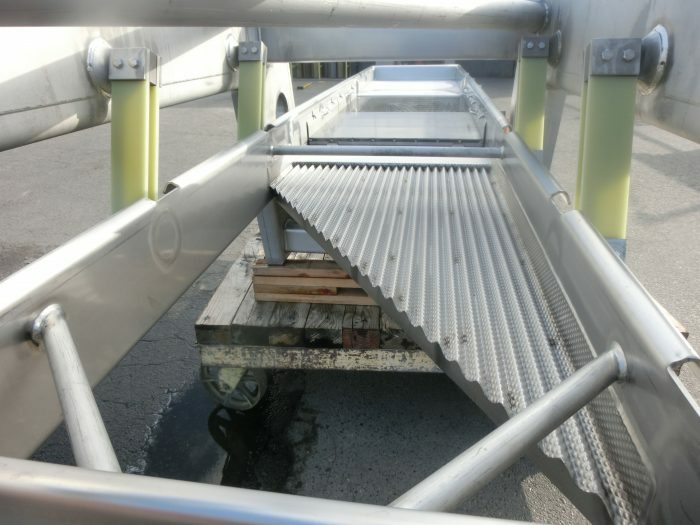 The purpose of any spreader conveyor is to assure that the machine down stream from it works at optimal performance. Spreading product onto another machine can be done at right angles or in-line. When done at right angles the pan uses a bias-cut discharge. For right angle feeds a cantilevered frame or overhead frame configuration is used. By comparison in-line spreaders typically use traditional pan-above-the-frame layouts with straight-cut discharges and a shaped crown in the bed to initiate the spreading action.